Fathers often get the short end of the stick when compared to mothers. Part of the reason why this is so is because many fathers do not assume the same child-rearing responsibilities as mothers. Traditionally, in most cultures since time immemorial, mothers are left at home to care for their young. Fathers are the traditional providers. They go out of the homes to make a living in order to provide food, shelter, and clothing for the whole family. Mothers are on call 24/7 taking care of their children's physical and emotional needs. Female parents spend more time with their children than their counterparts thus having greater influence on the children. In reality, fathers play an important role in the development of children. In the area of language development for instance, fathers contribute to their children's vocabulary and even their communication style. The words fathers use and the way they say these words have a great impact on their children's use of language. This is why fathers should always keep in mind that what they say and how they say it goes into forming their children. So if you are still recovering from the last Mother's Day celebration, gear up and prepare for Father's Day. Fathers are honored every third Sunday of June in the United States and in other parts of the world. Honor that special man in your life. 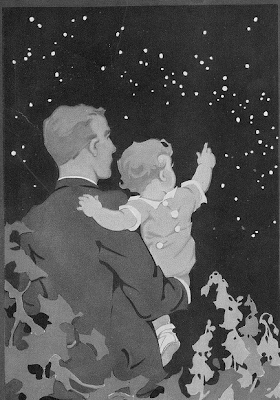 Genesis of Father's Day in the U.S.
During a church sermon in Spokane, Washington back in 1909, a woman named Sonora Smart Dodd was inspired to start a special holiday so that children can pay homage to their fathers. Sonora looked up to her father, William Jackson Smart, who raised her and her five other siblings after her mother's death in 1898 due to a complication brought about by childbirth. Sonora wrote a petition asking that fathers be given a special day of honor within the month of June. She obtained the support and signatures of two members of the local YMCA. They then approached the Spokane Ministerial Alliance with the petition. The ministers agreed and set Father's Day on June 19. Sermons during Father's Day centered on the importance of fatherhood and the responsibilities that go with it. Other communities in the country picked up on the idea of Father's Day. By 1925, Father's Day was known around the country yet it was not yet a nationally accepted holiday. Presidents Woodrow Wilson and Calvin Coolidge recognized Father's Day but their support was rather informal. It was President Lyndon Johnson, who in 1966 proclaimed the third Sunday of June as the date for Father's Day in America. In 1972, President Richard Nixon made Father's Day a permanent U.S. holiday by signing it into law. Sonora was quoted as saying that she was happy that the law proclaiming Father's Day as a national holiday happened during her lifetime. She was 90 years old then. History often refers to Sonora as "The Mother of Father's Day." 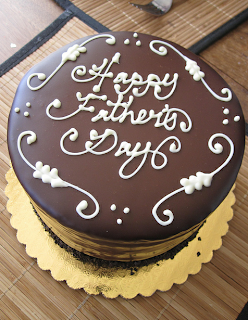 Like the U.S., other countries celebrate Father's Day on the third Sunday of June. Some of these countries are Afghanistan, Bangladesh, Brunei Darussalam, Canada, Colombia, Czech Republic, Ethiopia, France, Greece, Hong Kong, Hungary, Ireland, Japan, Malaysia, Netherlands, Nigeria, Philippines, Puerto Rico, Singapore, Slovakia, South Africa, Turkey, United Kingdom, Venezuela, Vietnam and Zimbabwe. Earlier in the year, countries such as Bolivia, Italy, Portugal and Spain mark March 19 as Father's Day. 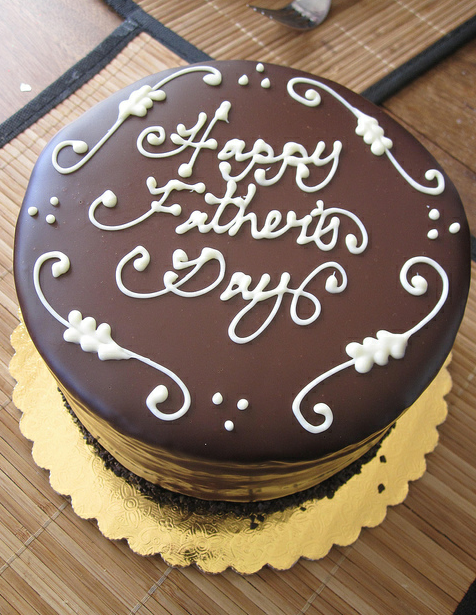 In Egypt, Jordan, Lebanon, Palestine, Syria and Uganda Father's Day is celebrated on June 21, which is the first day of summer. This is the counterpart of Mother's Day, which is celebrated on the first day of spring in some of these countries. Australia and New Zealand, together with Fiji and Papua New Guinea, hold Father's Day celebrations on the first Sunday of September. Countries that honor fathers on the second Sunday of November are Estonia, Finland, Iceland, Norway and Sweden. Many other countries celebrate Father's Day on dates different from the ones above. It took time in the U.S. for Father's Day to become a nationally recognized holiday. This was because too much commercialism was associated with Father's Day at its infancy. But eventually, the spirit behind the institution of Father's Day won out in the end, though it took several decades and much work especially for Sonora. The activities that surround Father's Day in the U.S. and other countries are almost the same the activities that occur during Mother's Day. Fathers receive royal treatment and gifts from their children, wives and significant others. Children spend time with their fathers. They hold intimate or even full-blown out celebrations in honor of their fathers. In Germany, Father's Day celebration is quite different. Vartertag (Father's Day) is set on Ascension Day, which is the Thursday forty days following the end of the Lenten Season or Easter. In some regions of Germany, this day is known as Männertag (men's day) or Herrentag (gentlemen's day). German men both young (but not pre-teen) and old go hiking together bringing with them wagons with traditional regional food and wine or beer. Of course not all fathers engage in this alcohol-fueled activity. Many do prefer to spend time with their off springs instead. Thailand's Father's Day is on the birthday of its current king. Since the current king, Massachusetts-born King Bhumibol, was born on December 5 Thais celebrate Father's Day on that date. Back in the day, the people of Thailand would give their fathers and grandfathers Canna flowers. But this is no longer done today. As a sign of reverence for King Bhumibol, the Thais would wear yellow clothing during Father's Day. Why yellow? Because the current king was born on a Monday and the color associated with that day was yellow. Now, the people of Thailand wear pink instead because in 2007, King Bhumibol was seen wearing pink after he was released from the hospital. The Thais want to make sure that their king will always be in the pink of health. Several researches have been done on how fathers impact their children's language development. 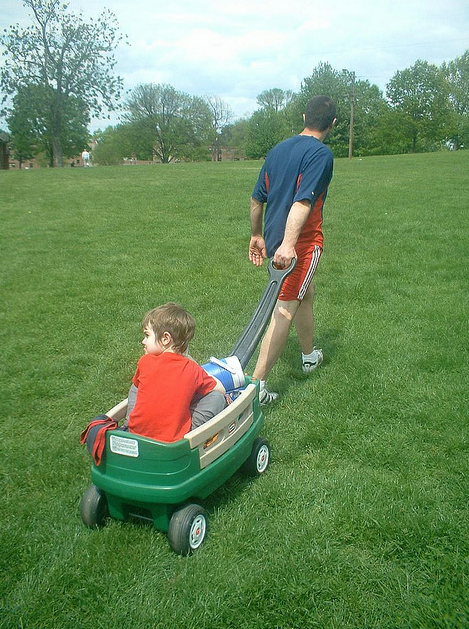 What many fathers don't realize is that they have quite a great impact on early vocabulary development. Normally, mothers are the first language teachers of their children. So one would think that female parents, who are normally the primary caregivers, have a greater influence on their children’s' vocabulary. However, a study found that in 2-year olds, fathers had greater influence than mothers. It appeared that fathers used different words (i.e. more diverse vocabularies) from mothers and they use more of these different words. Plus, the way fathers spoke to their children was different from the way mothers communicate verbally with their young. Mothers use softer, more soothing tones and often comforting words. Fathers on the other hand tend to talk to their children more about their day-to-day activities or interests. 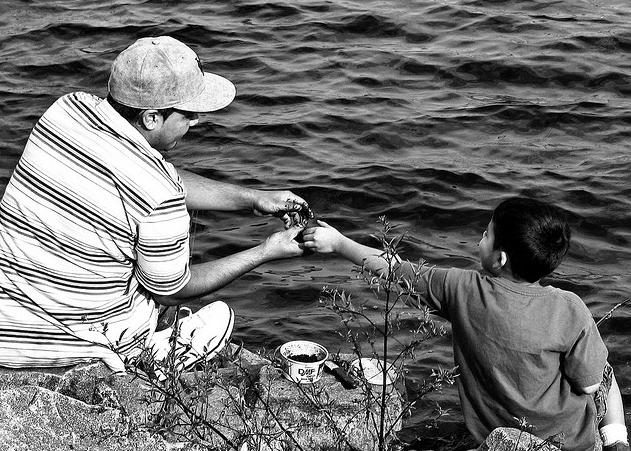 Fathers are gifted with the chance to mold their children's language skills. This special group of men have the opportunity to make their children's vocabulary more diverse, richer and more colorful. This being said, fathers should continue using a variety of words that are appropriate to the age of their children. They should also use a wide variety of tones when speaking to them. It is of great importance to children's language development that fathers continue to talk to their children about their interests, work, skills, experiences, and personal history as well as about day-to-day life in general. However, fathers must watch their verbal language and body language, too. They need to practice proper parenting skills. Fathers must remember that language development is not only about the words but also the gestures or body language that accompanies those words. Children are like sponges, they will absorb what they see or hear and take it as bible truth or acceptable demeanor. This coming Father's Day, take time out to honor the other half of the tandem that brought you into this world – the man who contributed to your language skills and to your total being. Fathers need the same reassurance as mothers do. They need to know that they are important and appreciated at any age. Focus less on the material gift you plan to give him. Instead, reconnect with him and show him what he truly means to you. To all the fathers out there, biological dads, step dads, grandfathers, uncles, spiritual fathers, coaches, teachers and more, Happy Father's Day! Day Translations, Inc., World Interpreting, Inc., and Your Spanish Translation, LLC are like fathers. They want to ensure that you get the best of everything when it comes to translation of documents or to different interpretation services. These three companies have your best interests at heart all the time. This is why they only provide high quality professional translation and interpretation services. Check their websites to find out more about what top-notch services they can offer you. Thank you for sharing the article! What a nice article!